Performing the proper repairs with the proper equipment and products is extremely important! At English Tarmac Ltd. we’re equipped with all the expertise, equipment, and products to assure your site is maintained correctly. Tarmac failure or deterioration is caused by many factors, and there are many different types of repair. 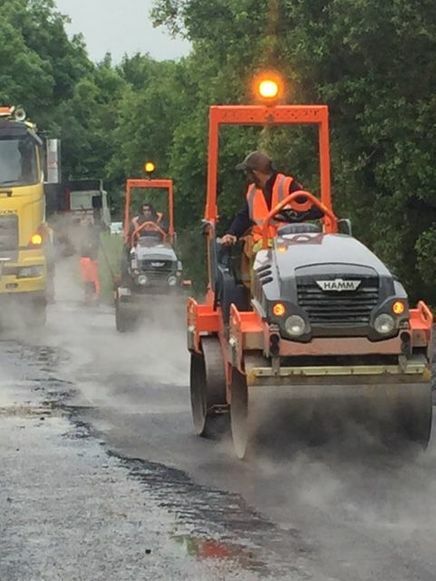 From crack filling to actually removing and replacing sections of deterioration, English Tarmac Ltd. is a company you can trust to implement the correct repair. At English Tarmac Ltd. we pride ourselves on our professionalism and efficiency. We aim to complete all our work in a timely manner, without compromising on quality, in order to cause as little disruption to your home or business as possible. All work is carried out by members of our dedicated, highly skilled team of tradesmen.